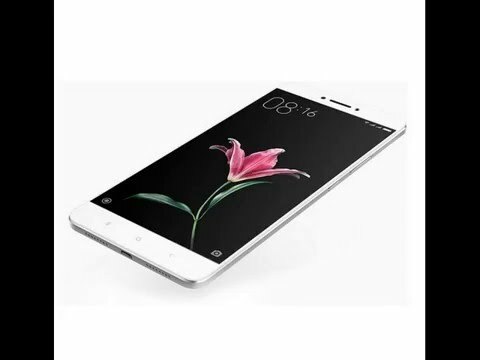 Xiaomi on Thursday launched the Mi Max in India, its “largest smartphone yet”, priced at Rs. 14,999. It will be available from Mi.com in its first flash sale on July 6, with registrations opening on Thursday. The company at the event also unveiled the global ROM of MIUI 8. Open sale on all partner platforms will begin on July 13. To recall, the Xiaomi Mi Max had been launched first in China in May. The all-metal body smartphone is available in Dark Grey, Gold, and Silver colours. It sports a fingerprint scanner on the rear panel. While the company had unveiled three variants in China, only one variant has arrived in India – 3GB RAM/ 32GB inbuilt storage/ Snapdragon 650 SoC. The Chinese conglomerate added that the Snapdragon 652 variant 4GB of RAM and 128GB of inbuilt storage will also be available soon in India – Xiaomi says it will be priced at Rs. 19,999. All variants of the smartphone come with a hybrid dual SIM configuration, allowing users to place up to a 128GB microSD card in the secondary SIM card slot. Xiaomi also announced 3 months of free movies and 1 year of unlimited music on Hungama Play for the first 1 million Mi Max, Mi 5, and Redmi Note 3 users. Free Batman vs. Superman movie streaming for first 10,000 Mi Max users. The Xiaomi Mi Max sports a 6.44-inch full-HD (1080×1920) 342ppi display. It bears a 16-megapixel rear camera that offers phase detection autofocus (PDAF) and LED flash. The phablet also bears a 5-megapixel front camera also on board with 85-degree wide-angle view. Both cameras have an f/2.0 aperture. The dual-SIM handset supports 4G LTE with VoLTE, Bluetooth 4.1, GPS/ A-GPS with Glonass, and Wi-Fi 802.11ac with Mimo. There’s no NFC on board. It is backed by a massive 4850mAh battery, measures 173.1×88.3×7.5mm, and weighs in at 203 grams. The Mi Max sports an infrared emitter to act as a universal remote control, apart from an ambient light sensor, gyroscope, accelerometer, and proximity sensor. As for MIUI 8, the company said the public beta will be available in the form of an OTA update starting July 11, and users can get instructions on how to download and install the update via the new Mi Community in India, and the MIUI Forum. The stable version of the Global MIUI 8 ROM will begin rolling out on August 16.